Setting up paternity, or paternity determination is the process of establishing who is the father of a child. 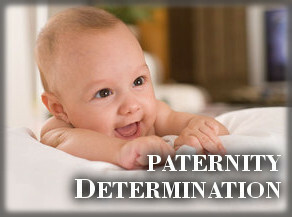 People often consult a Tulsa paternity determination attorney when there is dispute over the parentage of a minor child. When both parents of a child agree about who is the father, Oklahoma law provides an Acknowledgement of Paternity document. The easiest and cheapest way to complete the Acknowledgement of Paternity form is at birth in a hospital where the child is born. The form may be completed later, but if the form isn’t completed at time of birth, the Oklahoma Department of Health charges a fee to set up paternity and to issue a new birth certificate with the father’s name included. Even when unwed parents get along, paternity determination attorneys often advise parents to document the fathers role in the event circumstances change. When a man doesn’t agree with a woman’s claim that he is the father, one or both may seek the help of a paternity determination attorney. Depending on the circumstances, a paternity determination attorney might persuade the father to sign an Acknowledgement of Paternity, or convince the mother that she’s identified the wrong man as the father. When the dispute isn’t settled by negotiation, a paternity determination test may be required. A paternity test is a medical procedure to determine who is person’s father. Paternity determination involves DNA tests of the child and the disputed father. Unlike blood-tests of old that could only rule out one in three men as the possible father, modern DNA testing can rule out 90% to 99% of the population as the likely father. When considered in context of other evidence, DNA testing can result in highly reliable paternity determinations. When you have a question about who is the father of a child, the advice of a Tulsa paternity determination attorney can provide you the confidence that your paternity tests will be conducted in a legally defensible yet compassionate manner. For a free consultation with a Tulsa lawyer familiar with Oklahoma paternity determination laws, contact the Wirth Law Office today at (918) 879-1681. Why ask for paternity determination? He’s my child’s father. When a mother cannot persuade a man to affirm his role as the father of a child, sometimes she turns to the court to establish his role and to declare his paternal obligations. In those circumstances, a paternity determination test is sometimes required. It is my child. 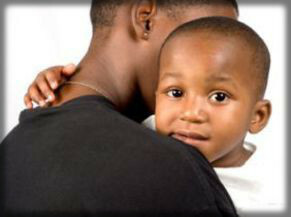 Biology favors mothers as early caregivers and objects of a child’s love. A man sometimes has no other way to show a child his love than to ask a court to establish his paternal role, sometimes over the mother’s objection. It is not my child. No matter how much a man might love a child, when a man faces a paternity suit his choices can take a back seat to court orders. Paternity determination can protect a man against false claims that can financially impair him. He’s not the father. Sometimes there’s no other way to persuade a man dearly attached to a child that he’s just not the one. A paternity determination test can provide a reliable answer. He’s my father. Children who were adopted often want to know who were their birth parents. Adoption laws protect the privacy of parents and children, but when both parties want to know, a paternity test can wipe away doubt. It is my inheritance. Especially in intestate probate, where no will has spelled out who will inherit an estate, a person might need to prove they are a legitimate heir by way of a paternity test. I need Social Security. Insurance claims or social security administrators sometimes require proof of paternity. My doctor needs to know. Paternity determination can be helpful in choosing the best treatment for some medical conditions. Paternity determination can involve sensitive matters that don’t always require a court proceeding. When confidentiality and trust is at stake, A Tulsa paternity determination attorney can negotiate or assure an stranger the assurances they require before they open themselves to a paternity determination where an adoption or a medical concern is involved. What is a paternity determination test? Paternity tests can be conducted early in a pregnancy, but there are risks to the mother and to the developing baby. For that reason, prenatal paternity tests aren’t recommended to settle legal questions. Recent advances in technology have made possible less-invasive “buccal swap” tests in which the DNA is collected from fluids swabbed from inside the cheek. Oklahoma law prefers buccal swab tests, which are more reliable means of establishing paternity because there’s more DNA in saliva than in blood. Results can be expected in four to six weeks after the test. Swab tests have led to the marketing of home paternity determination tests. Such tests might be useful for personal reasons, but they don’t meet the evidentiary standards required in a paternity determination lawsuit. A Tulsa paternity determination attorney can advise you about the most certain way to establish or refute paternity claims. If you would like a free consultation with an Oklahoma lawyer about a paternity determination matter, call the Wirth Law Office at (918) 879-1681 (or toll free at (888) Wirth-Law) or submit the question form at the top right of this page.